So I have been fortunate enough to go to all but one Alessi Seminar and every time I depart the seminar I go into what can be described as recovery mode. I pick up the horn daily and try to digest the huge volume of information that has gone into my ears and hopefully lodged itself into my brain. Working with wonderful musicians keeps my days going by, seemingly more quickly with every passing year. I speak for all of us at Edwards when I say thanks for letting us be a part of your lives. Working to help you perform, practice, and make music all over the world keeps us motivated to continue our search for the ever improving instrument. 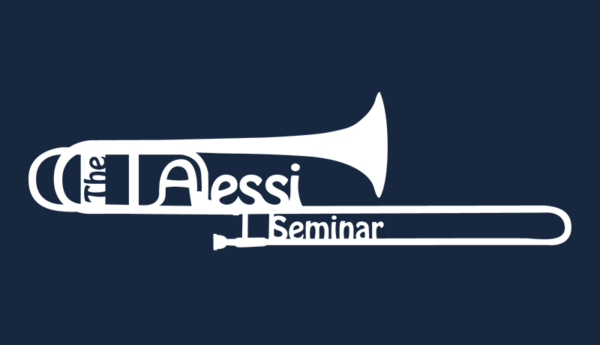 Next year the Alessi Seminar is in Italy and if you’ve ever wanted to visit Italy here is your chance to take a trip of a lifetime and combine it with an incredible amount of knowledge that will help you improve as a musician. If you want to be a participant look into it earlier rather than later and get your tape in. Don’t let another year of your life go by and look back with only excuses. The one thing I have noticed as I’ve gotten older is that life doesn’t wait for anyone. Take today for what it is and do the most with the time you have.